TIMBERLAKE, Va. — A Christian school in Virginia is refuting the claims of the great-grandparents of an eight-year-old girl, who went to the media to state that they had to remove the child from school because officials took issue with her lack of femininity. She supplied to WSET reporters a letter that she had received from Principal Becky Bowman. “We believe that unless Sunnie, as well as her family, clearly understand that God has made her female and her dress and behavior need to follow suit with her God-ordained identity, that TCS is not the best place for her future education,” the letter continued. 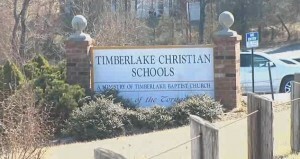 But Liberty Counsel, attorneys for Timberlake Christian School, issued a news release Wednesday stating that the facts are not as they seem, and that officials wanted to set the record straight. While the school could not provide specific details on the matter, they stated that concerns ran far deeper than being a tomboy–alluding to issues surrounding the use of the restroom, among other unspoken matters.